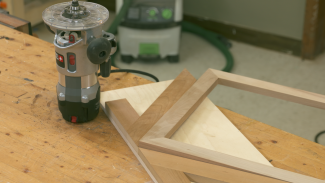 Looking for a way to easily incorporate dowel joinery in your woodworking projects? The Dowel Wizard may be an answer for you. It’s self-centering, and easy to align. Check out our review of this new product. 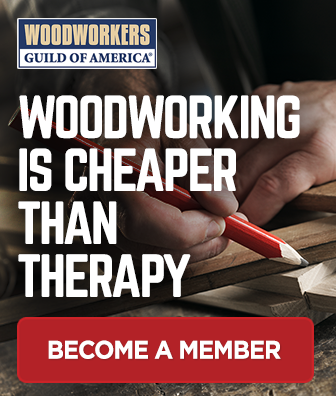 Dowels are a time-tested means of joining parts. They’re easy to come by, and very strong. The down side? Getting everything aligned just right. The Dowel Wizard, $59.95, is a new product with some unique attributes. Bottom line? 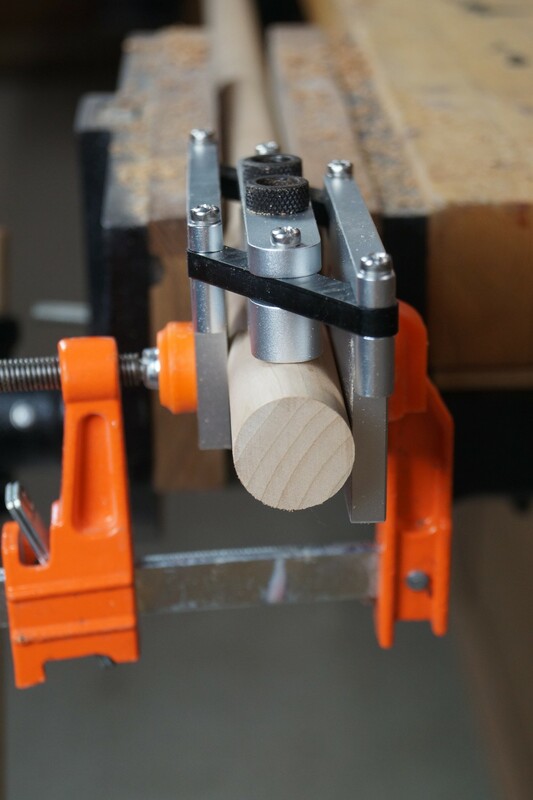 I found it to be an easy to use dowel jig that also made it easy to register and locate the dowel locations. 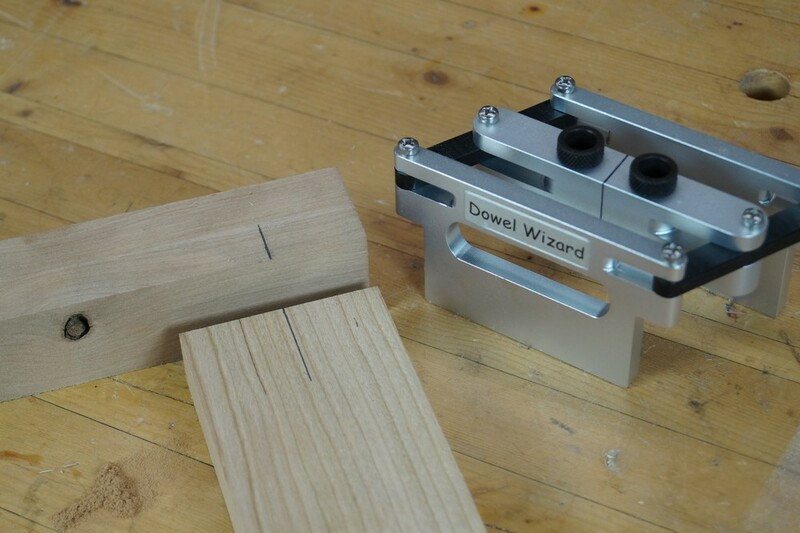 The Dowel Wizard centers on your work by simply squeezing the two side plates against your work. The plates are articulated together, so travel together. 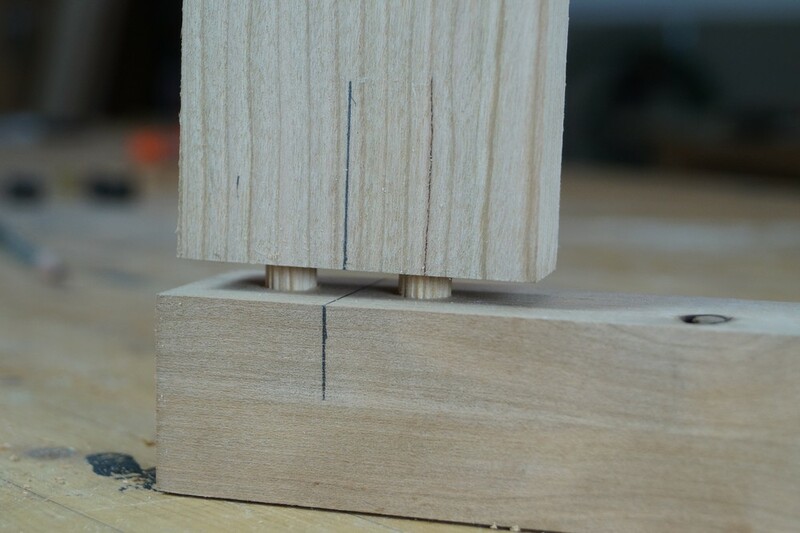 You can’t not get this right, and it’s much faster than the threaded style of dowel jigs that have been around forever. 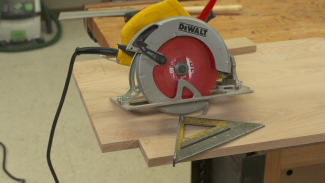 The plates accommodate boards from 3/4″ to 2” thick. You can work with thinner stock, and we’ll cover that later. 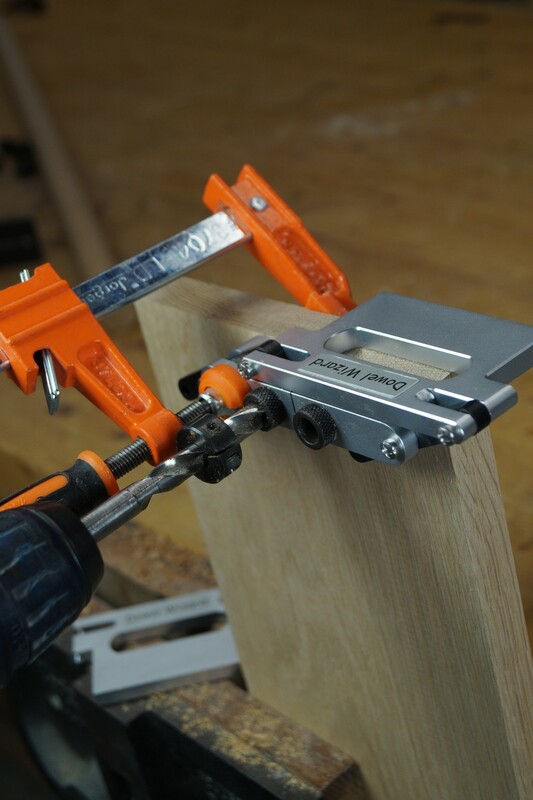 Drill guides that accept 3/16”, 1/4″, and 3/8” bits are included with the jig. The drill guides in the jig are 1” on center. Start by creating lay out lines on your mating parts. 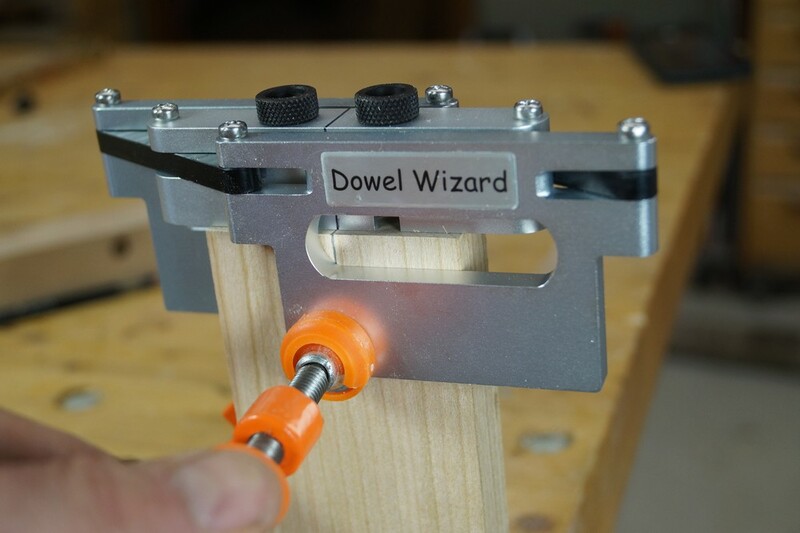 Locate the centering line on the Dowel Wizard over your lay out line and clamp the jig in place. Drill the holes. Repeat the process for the mating piece. 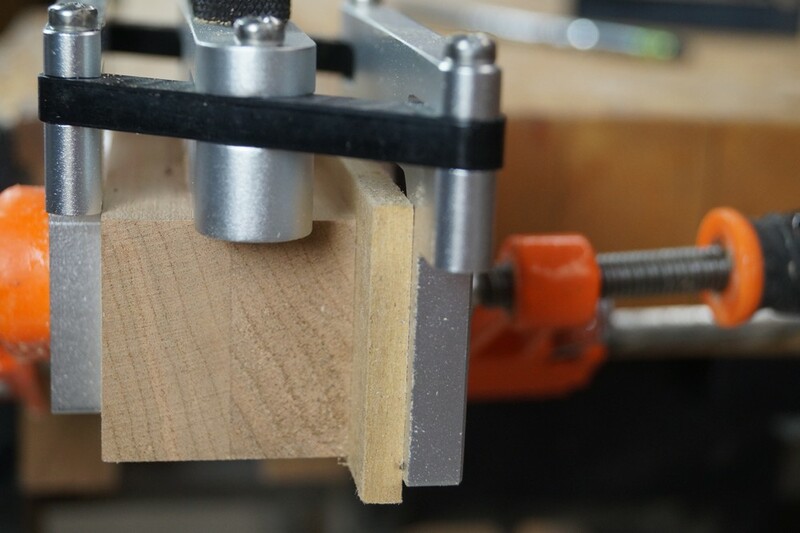 The parts have to go together, since you drilled both dowel holes with the jig clamped in a single location. 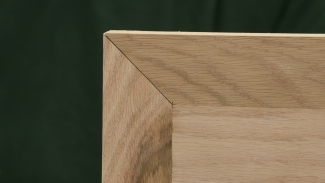 If you weren’t accurate with your lay out line, or with locating the jig over the line, it’s possible that the edges won’t register correctly, but the joint will still close. Want to create an offset in the joint? In other words, not bore into the center of each piece? Simply add a shim to one side. Adding a 1/4″ shim moves the hole location by 1/8”. Shims are also used when doweling stock less than 3/4″ thick. Bore into the face of a piece, as you would for carcase or box joinery, by removing one side plate from the Dowel Wizard. 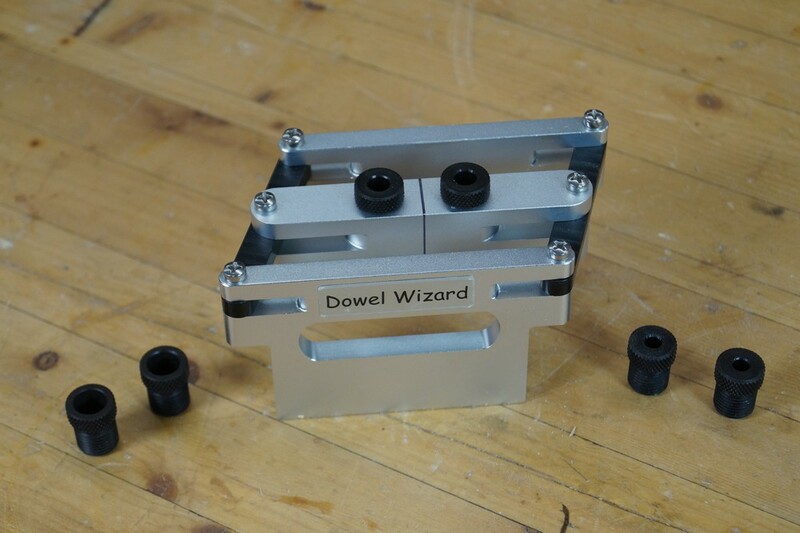 The Dowel Wizard also easily accommodates round stock. 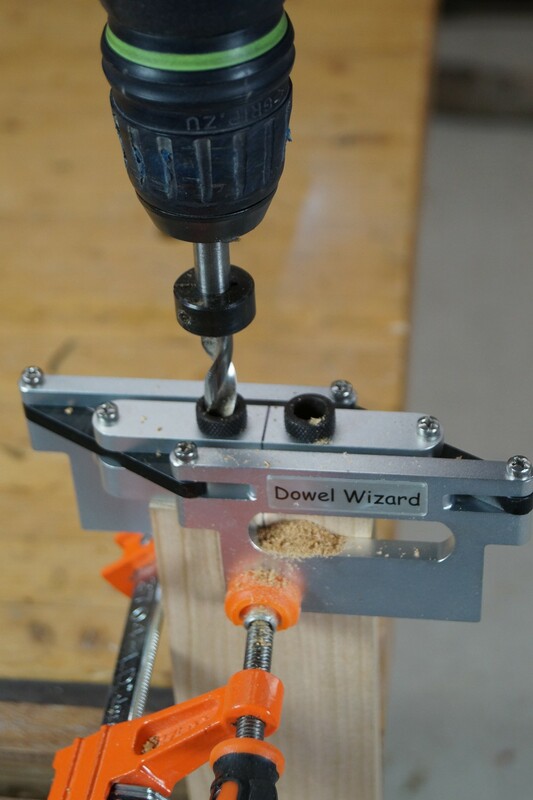 Bottom line: The Dowel Wizard competitively priced, and does its job well. Centering is dirt simple. The registration line on the jig was accurately placed which, of course, is a must to get accurate hole location in your work. If dowels are part of your woodworking joinery arsenal, this could be a good addition to your kit. Great product at a reasonable price, very easy to use and very accurate. Needs centerline on fixture barrel to lignup on dowel.